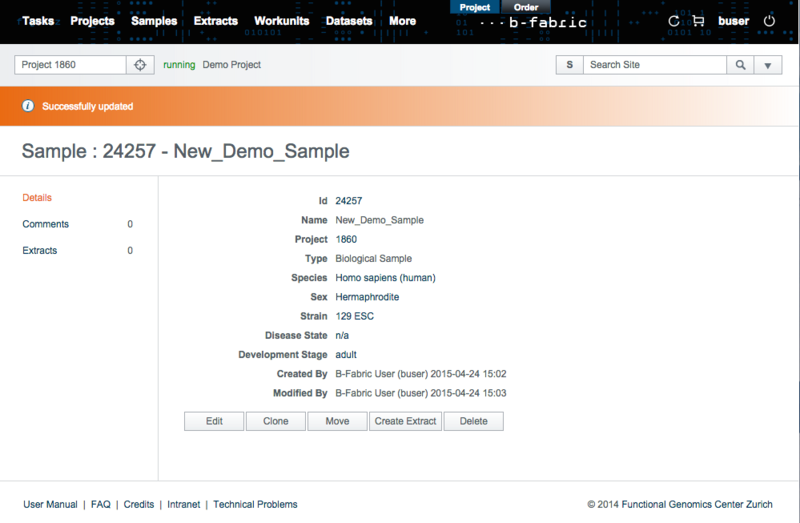 Open the tab "Samples" in the header menu and click on "Create Sample". Give the sample a name that is unique within the project. Remember all samples are uniquely identified by their ids. The name is just to have a second hopefully better memorizable identifier. 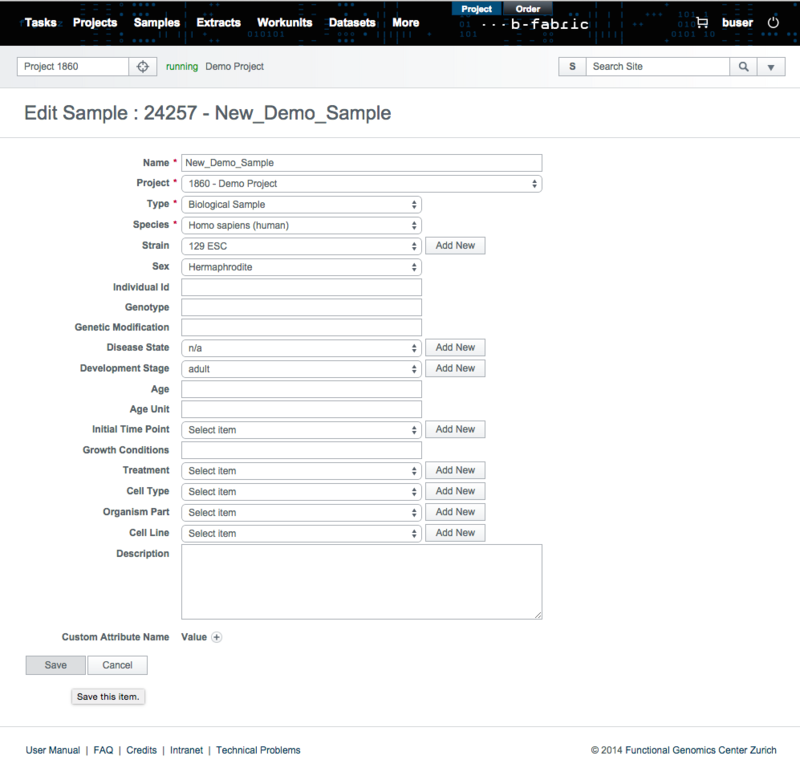 Select the type of the sample and specifiy its type-specific attributes. By pressing on save, you are reditected to the show-sample screen, where may later edit, clone, move, or delete the sample. Created by tuerker. Last Modification: Friday April 24, 2015 15:11:18 CEST by veresbogdan.